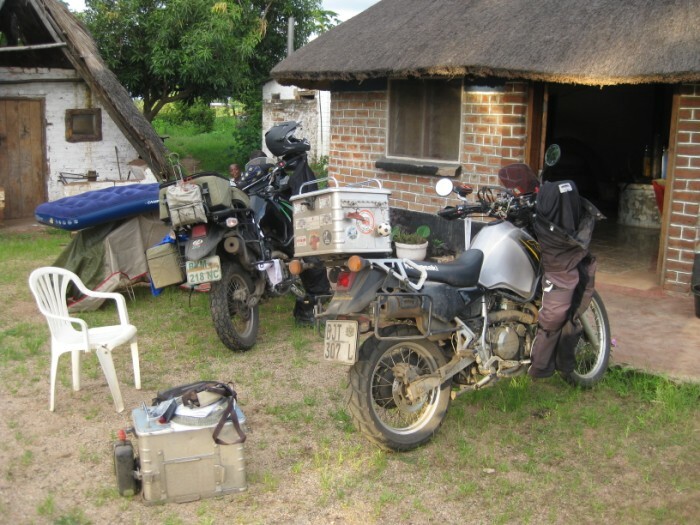 Malawi Deel 5 | Africa, Europe, Russia / Siberia! Well done KLR! Click on the smaller picture to get a larger one. 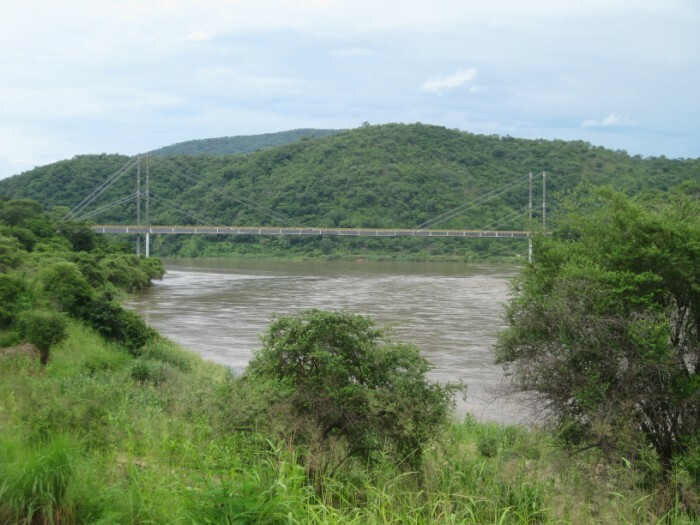 A beautiful bridge spans the Luangwa river, Eastern Zambia. 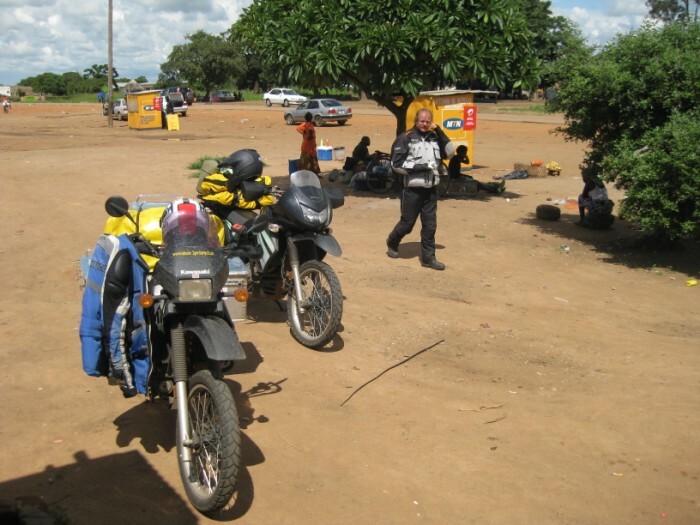 It was a 340 km ride without any petrol along the way. 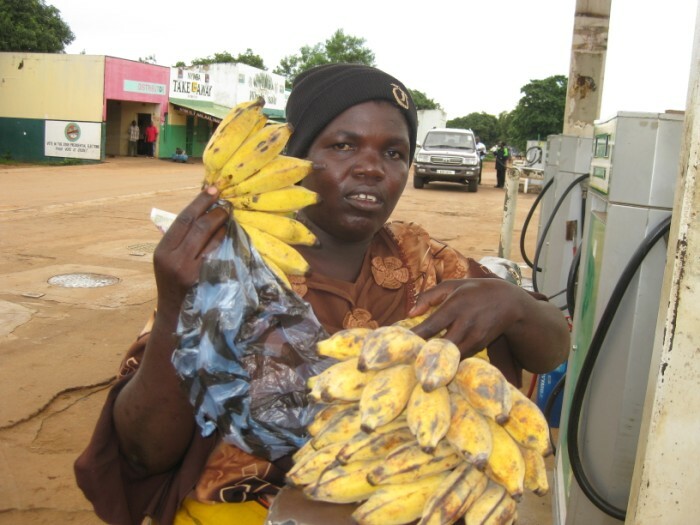 At a small filling station we filled the KLRs with good petrol and us with these sweet bananas. 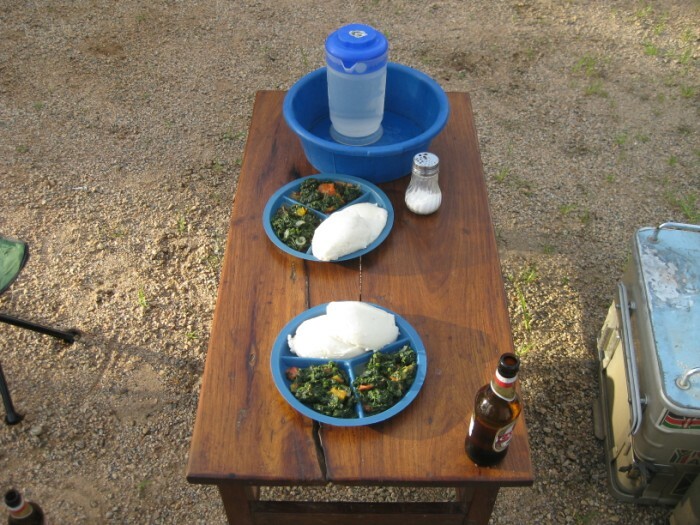 Our hosts prepared this typical meal: nshima (porridge) and chiwhawha (boiled pumpkin leaves with onion and tomato). We ate with the hands. The family allowed us to pitch our tents in the room. It rained the whole night again. From an open well we got water to wash ourselves. 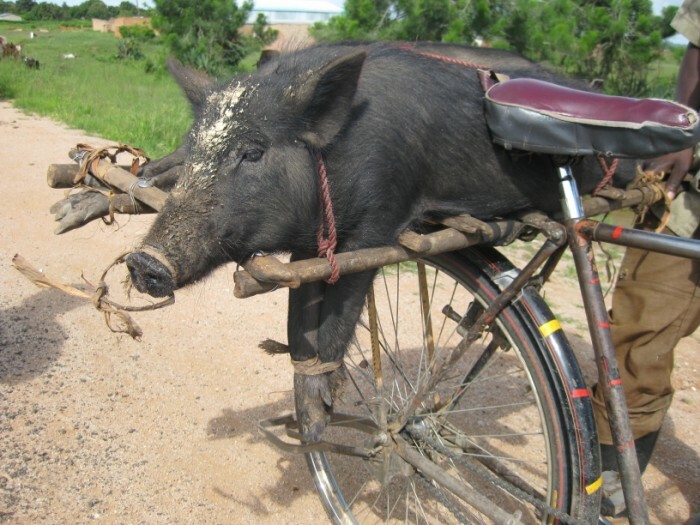 The guy on a bicyle had two pigs on the carrier. They were to be slaughtered. 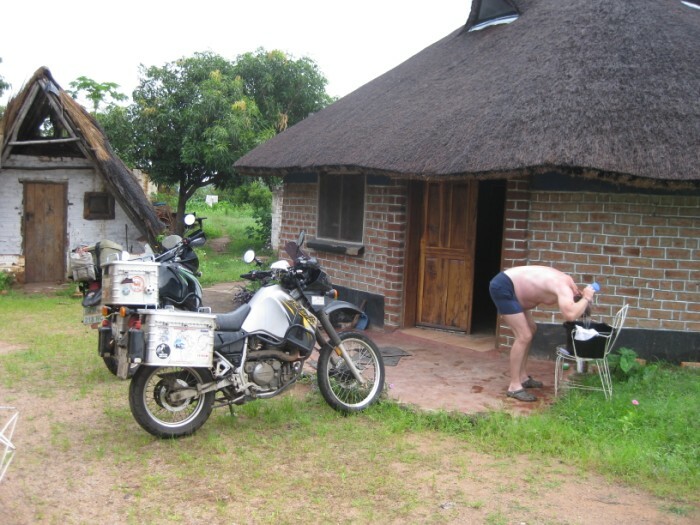 The sun came through the clouds and we stopped for a coke and for our clothes to get dry.